John Browning designed basically all my favorite guns. The Winchester 1897 shotgun, the 1911, the M2 Deuce I wielded proudly as a Marine Machine Gunner and of course the Browning Hi Power. The Hi Power is an interesting gun. It was John Browning’s last design, and wasn’t finished when he passed. FN finished the design based on John Browning’s work and the pistol has been a part of world history.y. The Browning Hi Power has served over 50 countries and served with forces throughout Europe and South America. It was the first wonder nine, and to this day captures part of the firearm culture that very few guns ever have. Among firearms enthusiasts the Browning Hi Power holds a special place in the heart of many. If you own a Hi Power you love it, that’s easy. But do you love carrying it? If you don’t you may have the wrong holster. 1 Big Gun Big Problem? 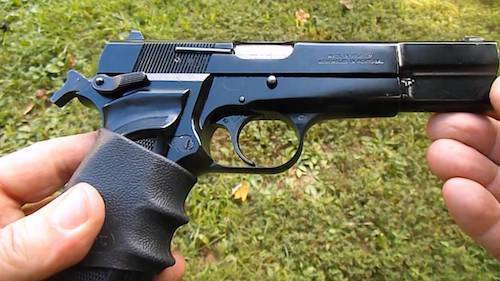 The Browning Hi Power is a full-sized firearm made for duty and military use. The Hi Power has proven itself in numerous wars and conflicts to be a capable and reliable handgun. Personally, I prefer a full-size gun for concealed carry. With a full-sized gun, you need a supportive holster that will keep the keep the gun from flapping and jumping around. That’s step 1. Find a solid holster made from leather, kydex, or from a reputable ballistic nylon manufacturer. It needs to ride in a way that makes it safe and easy to draw. If the holster is weak the gun will twist presenting an unsafe situation for everyone. Buy a strong quality holster. What are you carrying the Hi Power for? Concealed carry requirements are different than duty or competition requirements. You need to know how you plan to carry your Hi Power. One holster really can’t do every job. 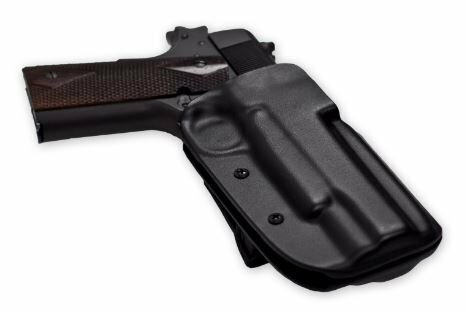 If you conceal carry your Hi Power, you need a holster designed for concealed carry. If you want to use the holster for concealed, duty, and competition use I’m afraid you are out of luck. You may need more than a single holster. How do you want to carry? Do you want the full IWB super concealed design? Or do you prefer some extra comfort and a faster draw with OWB? Be picky! Picky people pick holsters they’ll actually carry their guns with. 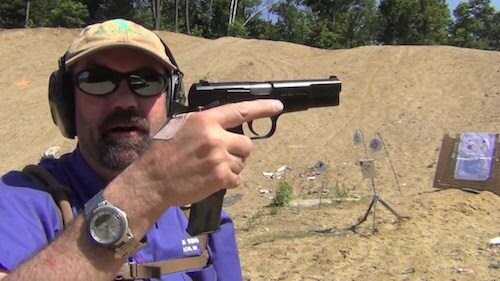 Think about your preferred carry method, and what you are willing to do to carry your Browning Hi Power. Never compromise. Compromises are what I call my shoe box full of holsters. Be picky, choose the holster you need for your chosen method of carry and never compromise! Because we love our faithful readers we’ve gathered together our favorite Browning Hi Power holsters. Let us know what you think of our selections and what you would change. I’ve categorized the holsters by their use, so keep that in mind as you judge me. The Hi Power is a big gun, made of steel and chambered for a double stack magazine. The gun is also svelte and thin for what it is. It’s surprisingly an easy gun to carry. If carrying all day every day is your goal, and concealment is a primary concern then the Alien Gear Cloak Tuk 3.0 is perfect for you. 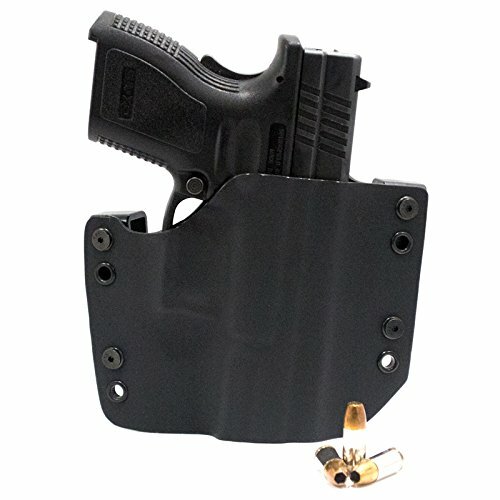 This hybrid IWB holster uses a soft neoprene backing for the part of the holster that touches the body. This waterproof material protects your gun from sweat and avoids rubbing your body raw while carrying. The shell that fits over the gun is a hard kydex material that secures the gun well. It provides passive retention and at the same time makes it very easy and fast to draw the gun. Alien Gear holsters are well known for their quality and customizable natures. You can adjust the way this holster rides and even swap the shells to carry additional guns. You can adjust the cant and height of the gun with little effort. The Alien Gear Cloak Tuk 3.0 also comes with a lifetime warranty and a 30 day trial period. These holsters are made in the USA and perfect for comfortably carrying your Browning Hi Power day in and day out. Kydex is the future of handgun holsters. It’s a polymer material that’s thin, tough, and lightweight. R&R holsters are molded perfectly for the Browning Hi Power. The mold is formed to the gun via heat and the molding process increases concealment, decreases size, and makes the gun faster and easier to draw. R&R Holsters are hand made in the United States and tested for durability and reliability. The holsters feature two independently adjustable belt loops that allow the end user to adjust the holster for height and cant. The design incorporates a partial sweat guard leaving only a small portion of the gun exposed to the body. While this holster rides outside the waist it’s designed for concealed carry. This means the holster rides tight to the body to decrease visibility. Some folks may not like this, but it’s the easiest way to carry a big gun concealed outside the waistband. R&R may be a small company, but they produce some well-made and well though kydex holsters. The Browning Hi Power has been around for generations of shooters, military users, police, and of course concealed carriers. It’s safe to say the Browning Hi Power has a bit of old school cool to it. If you want to match that old school gun you use an old school holster. The Pro Carry Belt Ride is a low profile, simple, and old school Browning Hi Power holster. 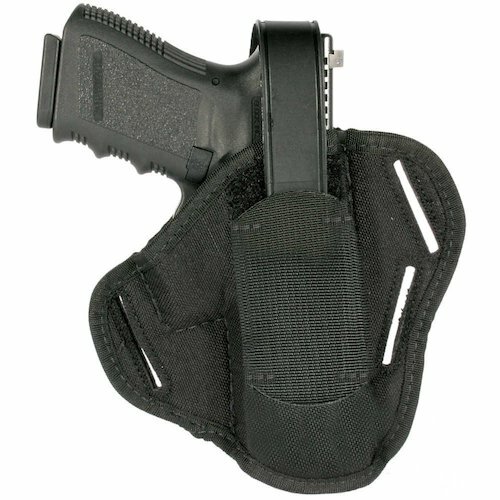 This holster is an outside the waistband design that comes equipped with two belt loops. One on the outside and one concealed behind the holster. The leather’s natural malleability gives it the ability to being drawn in closely to the body. The simple loop design adds hardly any weight to your rig, and leather is tough enough to hold the gun steady. The trigger is still covered and protected so it’s perfectly safe to carry your single action Hi Power in. The leather design and dual loop stitching gives it that old school cool effect and works well with the thin and svelte Hi Power. 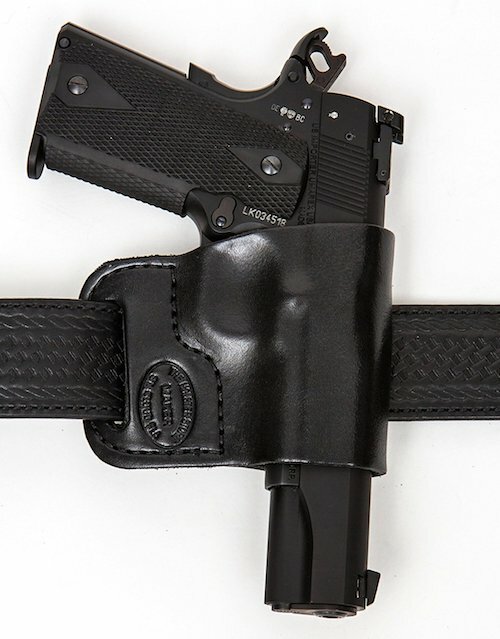 The Pro Carry Belt Ride is the best Hi Power holster if you hear leather calling your name. If you’re looking for another similar model, check out our guide to the best IWB leather holster. The Browning Hi Power was designed as a duty weapon. In fact, it happens to be an alumni to a select group of weapons, guns who’ve faced themselves in combat. At one-point Nazi units and British units were both carrying the gun and shooting at each other with it. Times change, and holsters change though. 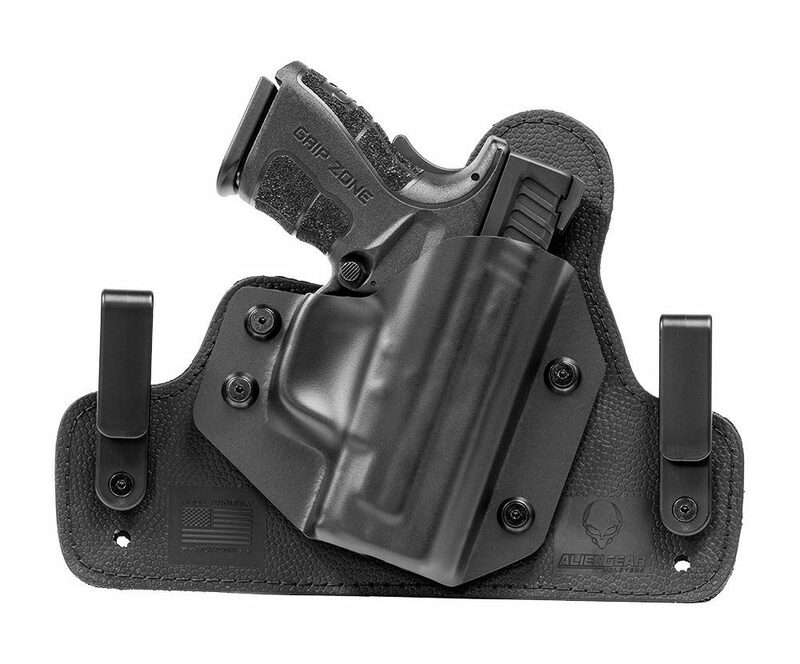 The Blade Tech OWB holster represents the modern duty holster. This polymer design is formed to the gun for the best possible fit. The Blade Tech owb holster features a speed cut that allows you to draw rapidly each and every time. This OWB holster is renowned with competition shooters and it’s easy to see why. The design itself isn’t the best for concealed carry. It’s held away from the body for a fast and easy draw. It incorporates a Tech Lock mounting system that allows you to adjust for cant and ride height. The Tech Lock system also allows you to customize the ride of your holster with belt spacers. The whole system is designed to be intuitive and customizable to the end user. The Browning Hi Power may be an old gun but you don’t need an old holster for it. We all can’t afford 70 dollar holsters. It’s simply not realistic for everyone. If you are pinching pennies and want a holster that offers superior concealment and an OWB ride, then Blackhawk has you covered. The pancake style holster doesn’t mean it’s a delicious breakfast treat. It means the holster is somewhat round, but wraps around the waist slightly. A pancake holster is a traditional OWB concealment holster for big guns that need to be tight to the body. The Blackhawk Pancake holster offers three belt loops for a slightly adjustable cant and to aid in concealment. The design incorporates an optional thumb release, and can be worn and used by both right and left handers. The Blackhawk design may lack some of the refinement of other holsters, but it’s still reliable, safe, and easy to conceal. At the end of the day it meets all the requirements to be a good holster. Plus, its coming in at under 25 bucks. 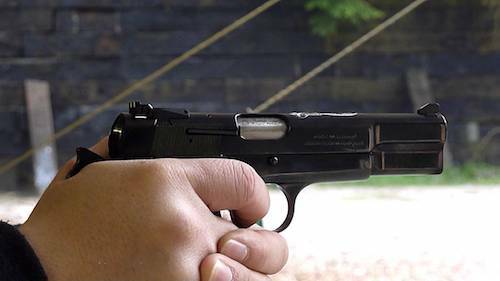 The Browning Hi power as a design has lived a long and interesting life. From its roots with John Browning to its extensive military service the Hi Power has proven itself around the world. It carries on as a proud and loud symbol of American exceptionalism. Sure, Belgium produced the design, but John Browning was a proud American. Carry you Hi Power with pride, with confidence, and most of all with the best Hi Power holster possible.